Rabbi and preacher in Tunis, of which place he was a native; died there 1812. He left two works which were printed long after his death: one, "Mishkenot ha-Ro'im," Leghorn, 1860, a collection of 1,499 responsa, relating to the history of Tunisian Judaism during the seventeenth and eighteenth centuries; the other, "Ḥayyim wa-Ḥesed," ib. 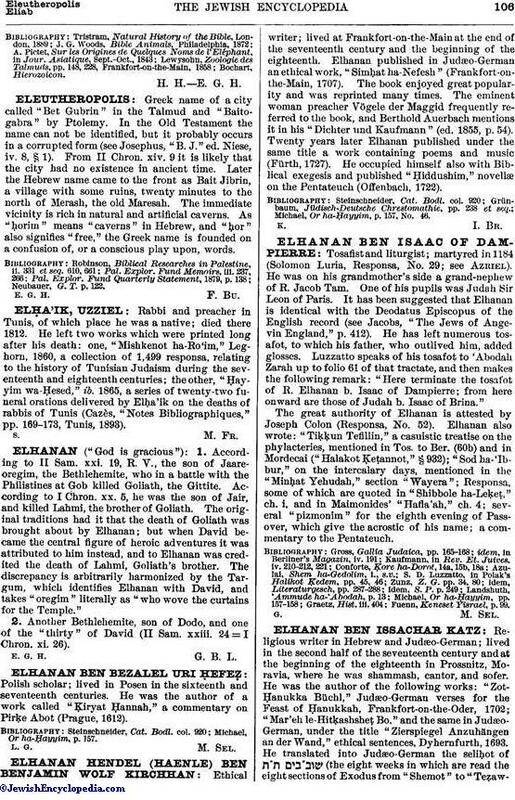 1865, a series of twenty-two funeral orations delivered by Elḥa'ik on the deaths of rabbis of Tunis (Cazès, "Notes Bibliographiques," pp. 169-173, Tunis, 1893).